Actually it's very late event report well... 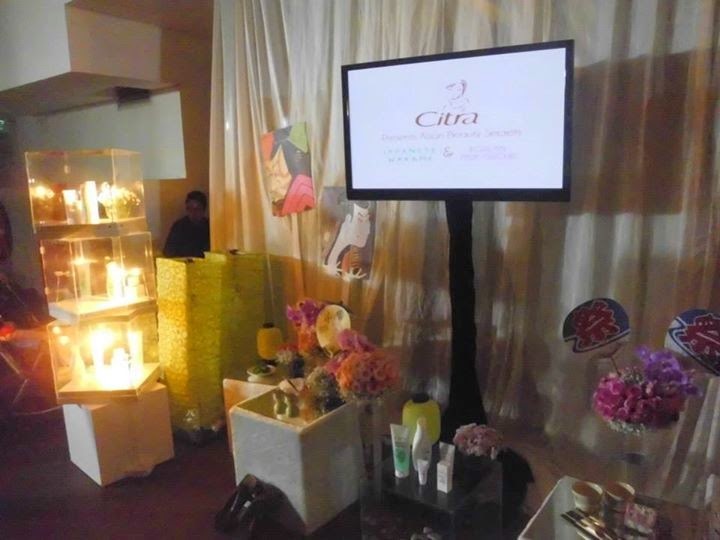 I was invited by Female Daily to attend an event held by Citra for their newest launching product which are Citra Wakame and Citra Pink Orchid. 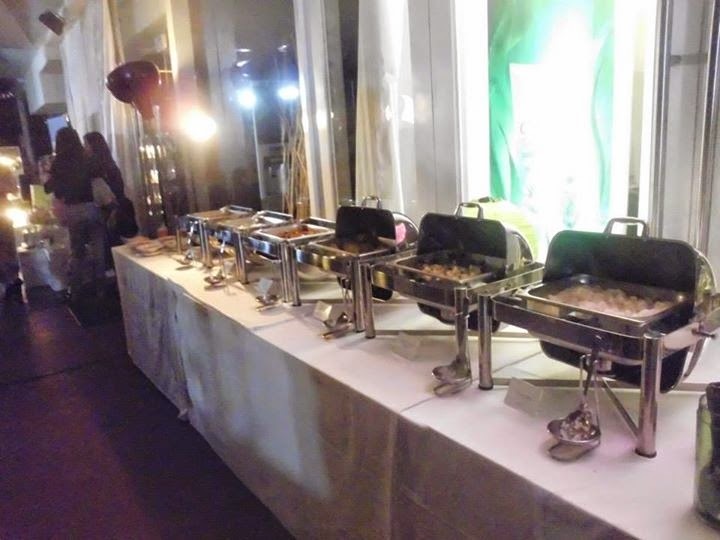 The event was held in the 6th floor of Morrissey Hotel on June, 24 2014 starts 19.00 pm until 20.30 pm. I am glad to meet with so many beauty bloggers and Female Daily members . The event went amazing! The event begins at 19:00 pm, starting with the registration and then we had dinner together. 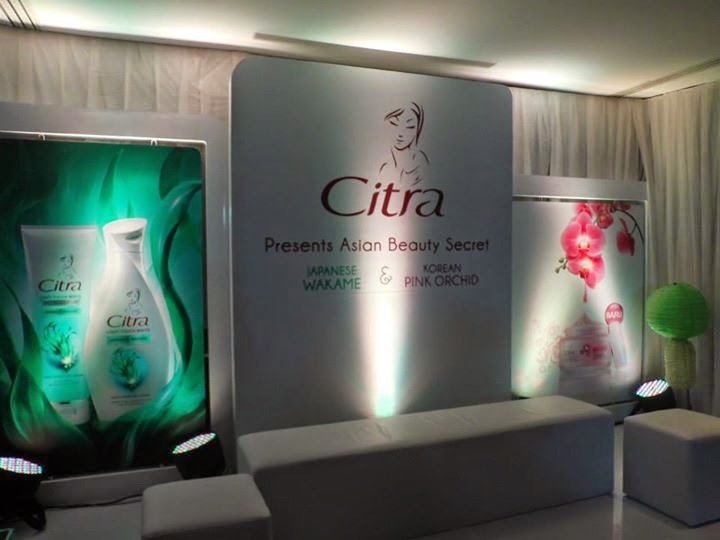 As I've mentioned before, the products being launched was Citra Wakame and Citra Pink Orchid. At the beginning of the event, the MC for the event is the ever-so-pretty-and-bubbly Amy Zein. We were greeted by Ms. Hilda Kitty as the Senior Brand Manager of Citra, Ms. Vivi Tri Andari as the Technical Management Manager for Unilever Indonesia, and Ms. Pamela Anastasia as the Brand Manager of Citra Face. 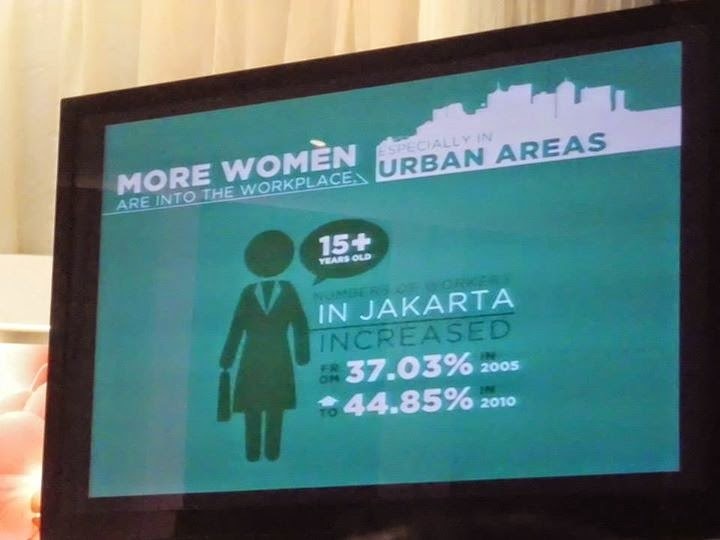 Citra as a brand (very well known for their body care products in Indonesia) views this to be very suitable for Indonesia women's needs. But, there are actually so much of whitening body lotion out there in the market. The event started with the explanation and stories behind Citra Wakame which uses Wakame, a certain kind of seaweed from Japan, which is believed to be rich in whitening nutrients. what makes Citra Wakame different than another lotion? Ms. Hilda Kitty explains that Citra Wakame actually have a very unique formulation, because it has two formulas; Citra Japanese Wakame Hand & Body Gel Lotion and Citra Japanese Wakame Hand and Body Gel Serum. It is water-based, so it an be absorbed by our skins really quickly, leaving no sticky residue on our skin after application. There are more women on the working force now compared to 2005, which means more women have an active lifestyle. To answer the active women's lifestyle, Citra has launched Citra Wakame for these active women who don't have time to sit around waiting for their body lotion to dry, while still being able to nourish their skin with nutrients. Wakame is a special seaweed found in Japanese sea that is enriched in vital nutritions like mineral, etc. 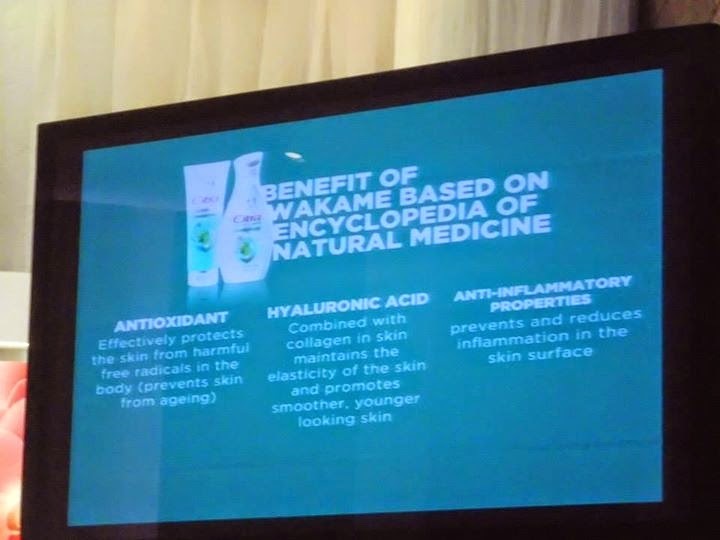 The Benefit of Wakame Based on Encyclopedia of Natural Medicine are ANTIOXIDANT effectively protects the skin from harmful free radicals in the body (prevents skin from ageing), HYALURONIC ACID combined with collagen in skin maintains the elasticity of the skin and promotes smoother, younger looking skin, ANTI-INFLAMMATORY PROPERTIES prevents and reduces inflammation in the skinsurfaces. The ingredients Citra Japanese Wakame are Water, Gycerin, Niacinamide, Undaria, Pinnatifida Extract, Dimethicone Crosspolymer, Cyclotetrasiloxane, Perfume, Methylparaben, Phenoxyethanol, Disodium Edta, Acrylates/C10-30, Alkyl Acrylate Crosspolymer, Sodium Hydroxide, Cl 19140, Cl 42090. There was a live demonstration of how non-sticky and fast-absorbing Citra Wakame is. The demonstration was done in front of the audience, the participant were given the usual oil-based body lotion on one hand, and Citra Wakame on the other. The participant dipped her hand into a bowl of sand. The hand with oil-based lotion catches more sand than the Citra Wakame, which indicates more stickiness. The Citra Wakame side actually can be easily cleaned just by a little bit of a shake, while the oil-based side needs a little bit more work. All of us attending the event actually did the same thing, and I have to say, the Citra Wakame is indeed fast-absorbing. Another launched of the night is the Citra Pink Orchid! 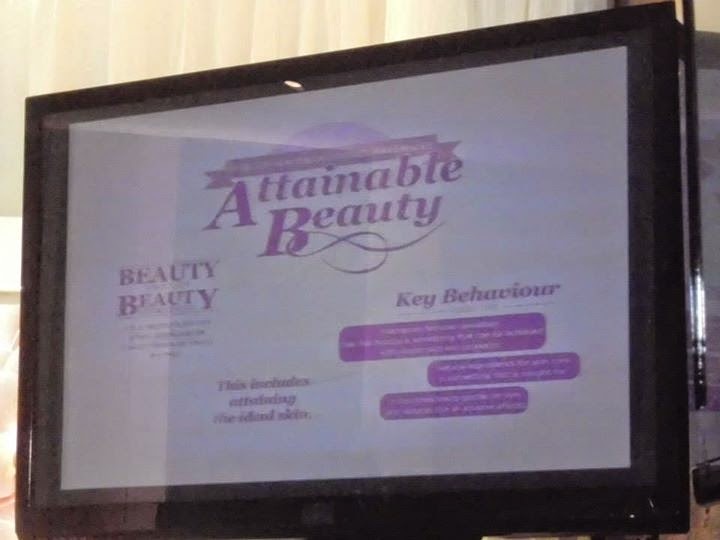 Ms. Pamela Anastasia explains that lately, the concept of beauty have changed in Indonesia. A pale, striking-white complexion is no longer desirable, shifted into pinkish-white complexion which usually comes from good nutrition. 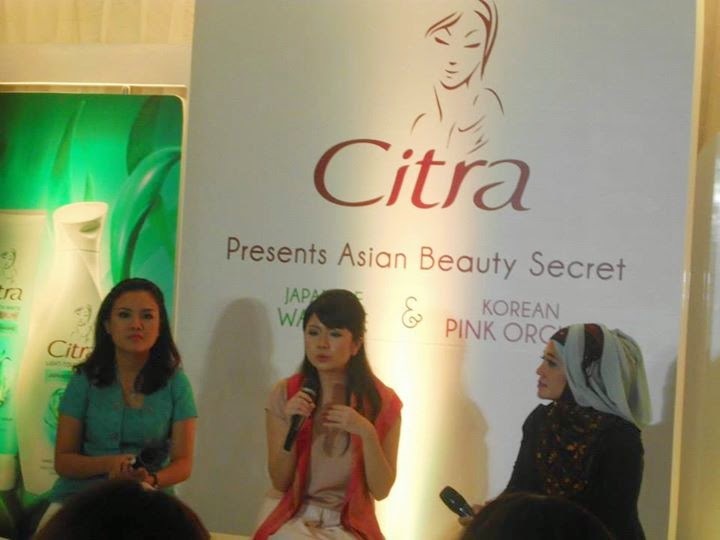 Citra develops this Citra Pink Orchid with the essence of Pink Orchid inspired by Korean Women's heritage that uses pink orchid as part of their skin care. Pink orchid is well known for blocking the formation of melanine, hence giving a whitening effect on the skin. Also, pink orchid is enriched with beneficial minerals such as zinc, magnesium and copper, so you'll have not only a fairer skin, but also that natural flush from within. 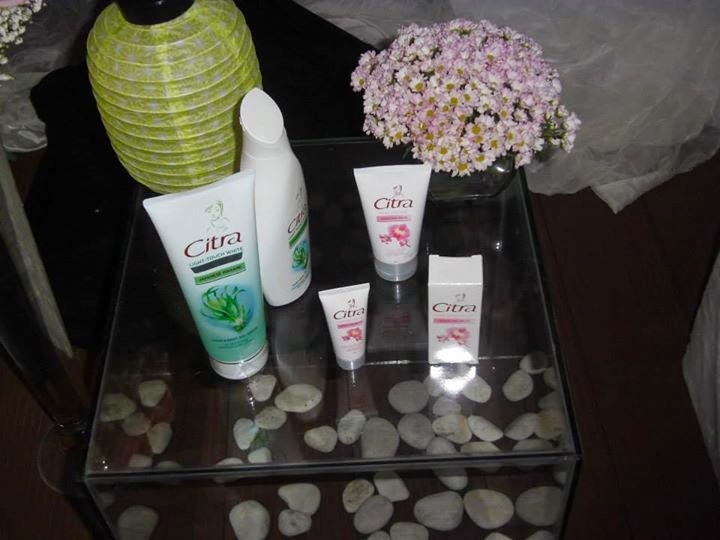 The Citra Pink Orchid series is available in the form of Citra Pink Orchid Face Wash and Citra Pink Orchid UV Facial Moisturizer. The face wash can helps you to clean your face from dirts, dead skin cells, and enhancing the nutrition absorption for the moisturizer. The Citra Pink Orchid Face wash it has tube packaging and the color is the same with Citra Korean Pink Orchid Facial moisturizer. The texture of this facial foam is really creamy and thick. It has no scrub it doesn’t make much foam It’s really soft and has a flowery scent that I love I already used this facial foam for more than 2 weeks and I love it After I wash my face it feels really clean & not make my skin too dry. The Citra Pink Orchid moisturizer also comes in quite a unique formulation which is a powder-finish cream that leaves a matte skin after usage. The pakacging is in jar is made from glass and kinda heavy like other citra moisturizer. The texture of Citra Korean Pink Orchid Facial moisturizer is creamy and thick. This scent is flowers orchid and I love it. You can use this moisturizer alone and skip powder, because it can mattifies your skin, which is awesome! And that's it! The event was indeed lovely, I had so much fun learning about the new products and stories behind it, I can't wait to try them on! 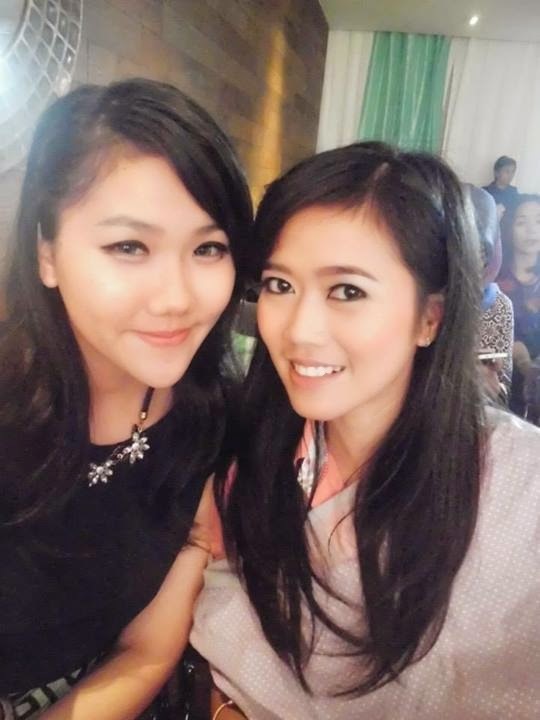 Selfie with Dewi Yang :) while I'm nursed my baby Safa. 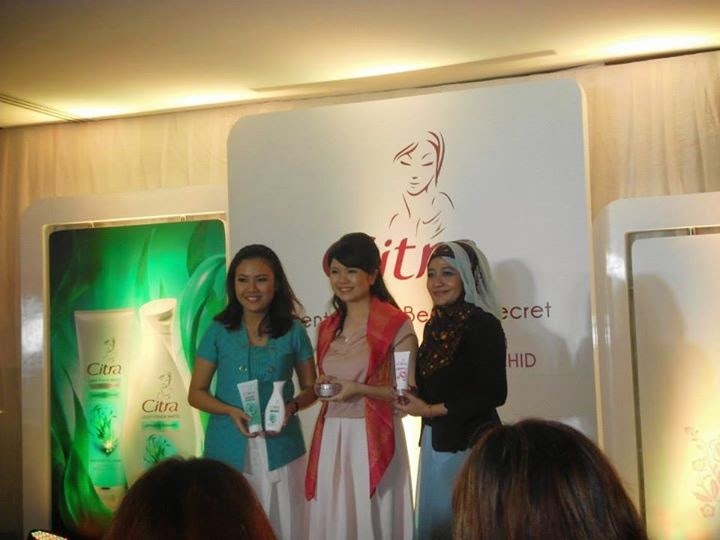 Thank you Citra Indonesia and Female Daily for inviting me. Thank you Dewi who gave me all credit photo and accompany me :) And I hope you guys enjoy this event report and reviews as well. Let me know if you have any question.